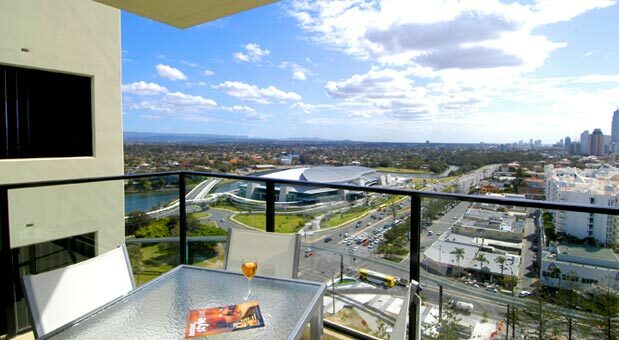 2685 Gold Coast Highway, Broadbeach QLD 4218. Australia. Broadbeach On The Park offers the ultimate holiday lifestyle. 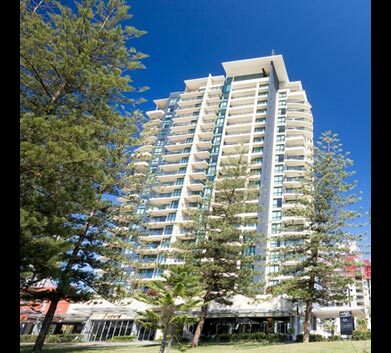 Broadbeach on the Park offers premium accommodation and pure relaxation in a great location on Queensland’s Gold Coast. 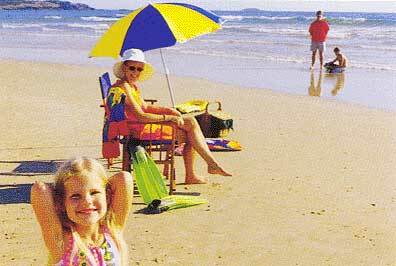 Conrad Jupiters Casino, the Gold Coast Convention and Exhibition Centre, magnificent beaches, world-class shopping and some of Queensland’s best restaurants are literally on the doorstep. 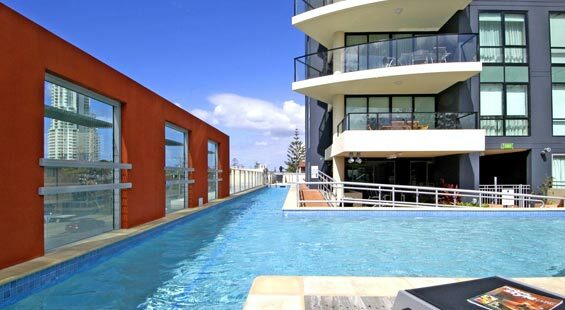 Just a short stroll from Kurrawa Beach, Broadbeach on the Park offers modern and spacious one, two and three-bedroom apartments, offering views of the park, Broadbeach city or the surrounding Gold Coast Hinterland. In keeping with Broadbeach’s reputation as the dining hub of the Gold Coast, the resort offers a range of premier wining and dining options including Lauxes VIP Champagne Salon, Martini Bar and Moo Moo The Wine Bar + Grill. Leisure facilities include a heated pool, 25 metre lap pool, fully equipped gymnasium, steam room, sauna and spa, BBQ area and games room. Broadbeach on the Park also caters for small meetings of up to 40 delegates. Just a short stroll from Kurrawa Beach, Broadbeach on the Park offers modern and spacious one, two and three bedroom apartments. 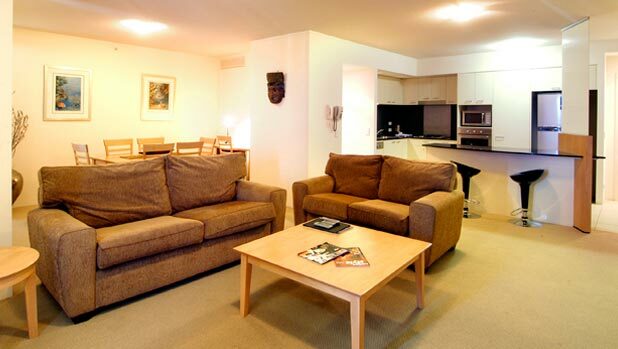 Ideal for couples, families or business travellers, all rooms include Austar cable TV, DVD players, in-room spas and fully-equipped kitchen and laundry facilities. Available with 2 queens or 1 queen + 2 single beds. Features 2 bathrooms. Available with 1 queen + 4 single beds or 2 queen + 2 single beds. Features 2 bathrooms.